I recently referred to the Tesla solar roof as the Model S of photovoltaics, largely due to its price tag. 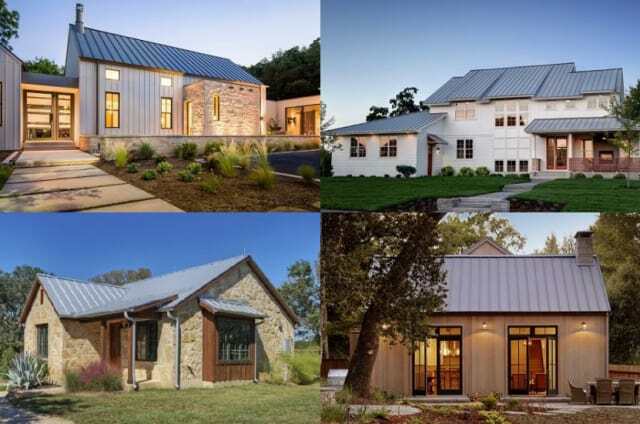 A young company called Forward Labs has a solar roof design that rivals the Tesla version in energy production and appearance, at about half the price. Where Tesla's roof will set you back about $22 per square foot, a Forward Labs roof comes in at less than $12 per square foot for the sections that include PV and $8.50 per square foot of the non-PV areas. Forward Labs' Product Architect Zach Taylor comes from a construction family and has experience in the roofing and building industries. This background provides him with insight on the composition and installation of roofing systems. He designed the roof panels to be inexpensive, made from standard construction materials, and easy to install and replace. A top layer of tempered glass protects the roof from weather damage, including hail. Optical chromatic cloaking gives the roof its visible color while absorbing very little "usable" light. Monocrystalline solar cells are the industry standard. Rollformed galvanized metal panels serve as the base. The racking system is concealed. Check out this video to get an introduction to the product, and then read on for more. TL: Your video shows that the cabling is in the attic. Are you using microinverters for each panel, or is there a central inverter for the entire array? ZT: We want to work to develop an architecture that integrates with home batteries as effectively as possible. Although I can't give all the details, I can say a big part of this plan is running DC power to a 48V charge controller on a home battery unit. In the long term, I think DC electric will make sense for end use in most homes. As we transition to a world of the internet of things, home batteries, LED lights and electric cars, we'll start to see that, like it or not, most things are DC powered already. I believe 48V DC will be a really important standard. In my opinion, microinverters belong on home appliances like electric stoves and laundry dryers. For the time being, we'll utilize a central inverter but I don't see AC power ruling the roost in residential applications for too many more decades. TL: The video also mentions that the roof will shed snow in the winter, but it didn't explain how. I've seen traditional PV panels on fairly steep slopes that don't shed their snow very well. I'm wondering how you accomplish it. ZT: Believe it or not, the snow on solar panels gets hung up on that tiny 1/8" lip of the aluminum frame. And if the snow makes it up over the bump up from the glass to atop the aluminum frame, it piles in the gaps between the panels. Where you might not see snow shedding off a metal roof is in instances where the metal roof has exposed fasteners. This is a corrugated roof, it's a different style. The slightest hang up can prevent an avalanche. Also, in standing seam applications, about 10 years of UV degradation to the Kynar 500 coating can change the coefficient of friction quite a bit, also preventing snow from shedding. With our solar roofing panels, they're covered in glass. And more importantly, the coefficient of friction doesn't change dramatically over the life of the panel. We're actually worried about the inverse problem in this scenario. Snow sliding off all at once. As it is now, with a home that has a roof with a pitch of 4:12 or greater, the snow will shed before accumulating beyond a 1/4". This prevents large amounts from falling all at once. Commercial applications such as pre-engineered steel buildings present unique challenges as the snow falls at a different rate with their typical low slope. Currently, the best solution is a green area buffer (ie: shrubs) but it's a challenge we have a few ideas for and we're confident we can solve the issue before expanding into colder climates. There is no snow where we are in California. TL: Are you offering integrated storage? If not, is it compatible with behind-the-meter storage? ZT: We're currently in talks with storage providers. I can't talk too much about that just yet. We're excited for the announcements we have to make on this front. 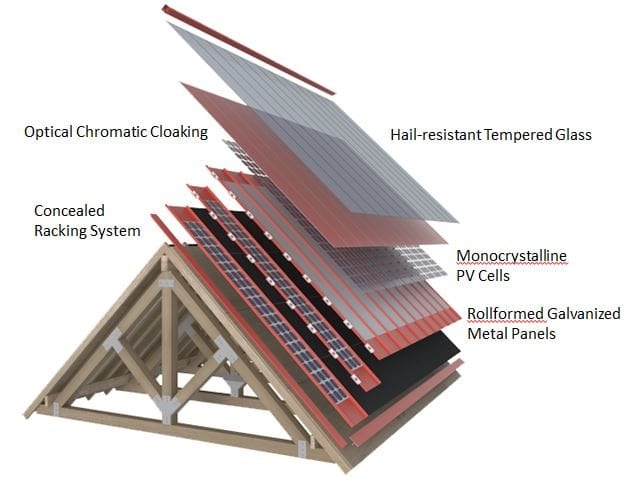 TL: In the past when I've written about the Tesla solar roof, I've had questions from firefighters who are concerned with an electrified roof that they can't visually identify. Is there anything that lets firefighters know where NOT to swing an ax? ZT: So we've got are two different scenarios here: Daytime and nighttime. During the day, a firefighter will be able to discern between our glass covered, solar roofing panels. It will be obvious from a gloss perspective and also because they "change color" as you look at them from above. During the night, this won't be so obvious. We really like our optics around here. It's what gives our panels their color. In this case, it makes the most sense to work with the tools the firefighter has, be it a headlamp or a flashlight. We plan to have a reflective component much like what is used on traffic signs. When the firefighter shines their light to mark a position, they will see the optics reflect back. This makes sense, reflective tape is already used quite extensively to aid firefighters. As such, we'd like to stick to that best practice already in place. TL: Have you done any full-scale testing to verify installation times and energy production levels? ZT: Yes, they're in New York. We're mum on the details as much of the technology is proprietary. TL: I see that you're taking preorders. When do you expect to start the first installation? ZT: I'm fairly certain we'll be getting first preorders installed this year. However, we're telling customers 2018. We'd like to underpromise and overdeliver. So there you have it: the burgeoning solar roof industry has one Goliath and a few Davids, and I don't mean that in a "bad guy vs good guy sense" - it's just a comment about the relative sizes of the players. If you've read my stuff, you already know I'm a big fan of Tesla and Elon Musk. I'm also a fan of competition, so let the games begin!